Many homeowners consider adding a deck to their backyard for a variety of reasons. One reason a deck is a popular addition is that it adds to the overall value of the property. However, the question remains regarding how much worth it adds to a home, and how much of that value is recouped when it comes time to sell the property. The answer contains several variables. Decks add lots of outdoor living space to a home. The dollar amount of value a deck adds to a property is in direct proportion to its size and how much space it diminishes from the backyard. Value is in the eye of the beholder. In other words, when it comes to selling, the value added by the deck is often determined by the amount an able-bodied buyer is willing to spend and the value he sees in the outdoor living space. Generally speaking, a deck adds value to a home, however. According to a home value report from Key Bank, a deck addition recoups at least 85 percent of its value when selling a house. Just as vital as the construction materials and labor that go into a house, the construction of the deck as a value-adding idea comes into play. If a deck is poorly constructed, damaged or badly worn, it detracts from the overall property value instead of adding to it. In other words, the more solidly built the deck and the better it is maintained, the better off a seller is when it comes to seeing added value at the time of sale. Decks are also a hefty maintenance addition. Not only does a homeowner have to stain, seal and protect her deck, but also she must regularly inspect it for damage from wood-destroying insects like carpenter ants or termites. While the presence of a deck adds value overall, the existence of wood-destroying insects infesting a deck means potential infestation of the house. In these cases, a deck is a detractor from the home's value as opposed to a value-adding feature. 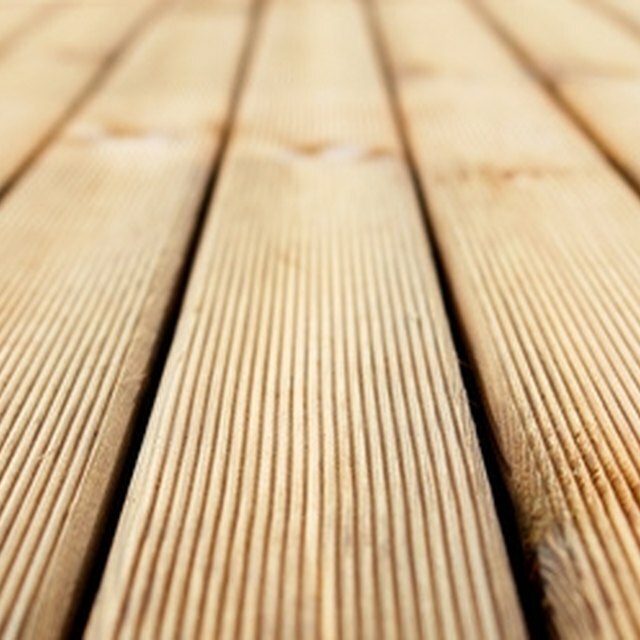 The cost to install a deck is upwards of $100 per square foot as of 2011, according to MSN Real Estate. The variation in cost comes from the price differential for construction work in different areas, climate conditions and the cost of materials and labor. According to Key Bank, the average deck costs $10,347 to construct, but varies based on its size and the construction materials. Homeowners can usually obtain a firm cost from a local contractor specializing in outdoor living spaces more specific to his wants and needs, but these websites offer valuable guidance for creating a budget. Key Bank: Which Home Improvements Pay Off? CNN Money: Will This Renovation Pay Off?